We had this growing on the edge of our allotment plot but fortunately the council dealt with it. There was some growing alongside the house of a lady of 90+ on land belonging to Leeds council which I reported to them but they seemed rather unconcerned and just gave me suggestions as to how I could remove it to which I replied it's growing on your land and is your responsibility! There was a case where a plant emerged through the floorboards of a house too which may I suppose say something about how the house was built! It is certainly an aggressive plant Sue, but its not the only one and others don't get as much hype. I frequently see tree roots busting up tarmac and poplars can be a real nightmare. My Hydrangea petiolaris and my vine regularly invade my garage interior. I do have this plant in Bolton Percy cemetery, but I did not put it there! I think it's only a problem in river banks. We have a patch just outside the gates of our allotment site which doesn't cause a problem. 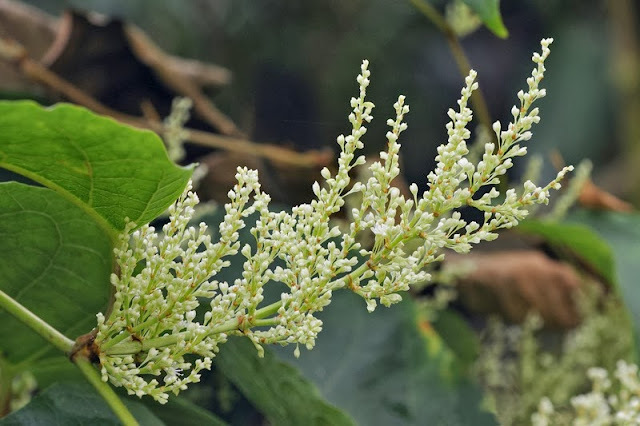 Excellent post Roger, I have never suffered the intrusion of Japanese Knotweed but I am inclined to think that, like many things today, the problem is somewhat exaggerated. A telling quote from Peter's excellent information is "The industry stressed the dangers of the plant and pointed out the difficulties not only of killing the weed but also its subsequent disposal." To misquote Randy Mice-Davies "they would say that wouldn't they"! 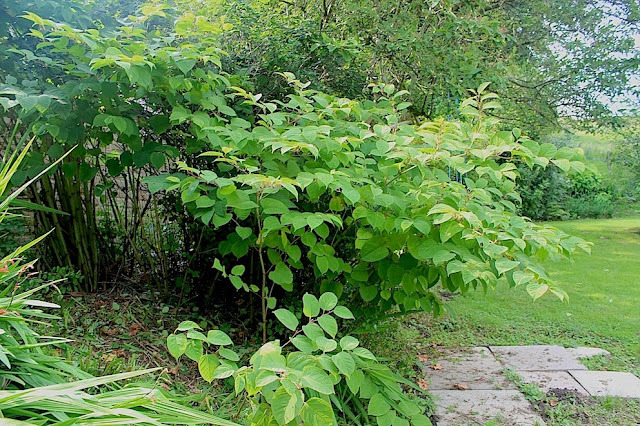 One of the biggest problems is that we as competent gardeners forget that the majority of the public have no idea what Japanese Knotweed is so those who are completely ignorant let it grow regardless whilst those who recognise it, probably due to the media, immediately panic and call in expensive contractors. On a different tack, is Himalayan Balsm going to succumb to the same disease that has devastated our bedding Impatiens or can it be used to breed back resistance? You have certainly been exercising the little grey cells Rick! I think the politically incorrect Himalayan Balsam has so many detractors that there might be a wish to transfer the downy mildew to it. I suspect that although both are the genus impatiens they are genetically fairly distinct. I do miss busy lizzies! My neighbour tried a similar stem injection method. She cut them off just above the lowest node, pierced a hole down through the node to the lowest hollow section, and filled. It was only a small clump of knotweed, but one she had been ignoring for a few years. She treated it in Autumn 2012, and said it didn't come back up in 2013. Unfortunately there are two other neighbours who are still ignoring it, and unless there is a combined effort to tackle it, it will just keep moving about. Hopefully not in my direction! Thanks Sarah, Peter will be delighted if it does not reappear next year. I expect Deane Forde might suggest it has just shut down and your neighbour will have it back next year. The Knotweed in the case did not need to take 8 years to eradicate! The fact that you used more than the recommended concentration (which is also illegal) means that you made the plant shut down and sent the plant into a bonsai state and has not eradicated the problem, so in fact the way it has been treated has meant that it has taken longer than it should of done! It would not be a problem at all eradicating the Knotweed in 2 years and this would not affect the surrounding vegetation at all- we spray next to TPO trees all of the time. Perhaps you did not note the irony in me taking ten years. I did claim that had I carried on in year three as I had started it would all be gone at the end of three years. My normal method of weed control for general weeds is to spray with a regular spray of about 1 in 100 dilution and at that part of the cemetery I get round every two to three months. What on earth do you mean by the plant shutting down? In the third year I referred to the new growth of the Russian vine as bonzaied, i.e. dwarf. It was about a foot high and its new leaves looked perfectly healthy. I am aware that using glyphosate too strong can be counter productive but at no stage was my spray stronger than 1 in 60. I do find maximum permitted concentrations perplexing when I find that reputable manufacturers recommend glyphosate concentrations as low as 1 in 25 for weeds such as marestail. Off topic, and at the risk of causing an argument (or another one) please could I ask exactly what is illegal? I'm aware that anyone holding a licence needs to obey certain regulations, as do the manufacturers and retailers. But is it actually illegal to do whatever you like in your own garden? For example, Ammonium Sulphamate cannot legally be advertised or sold for weed control. Therefore it follows that it would be illegal for a professional weed controller to sell it as a service. But that doesn't automatically mean it's illegal to use it in your own garden, however you jolly well want to. Or does it? Yes Sarah, you have opened a can of worms! I have entered the fray myself in my post about moss killer where sulphate of iron sounds if its a similar case to your chemical ammonium sulphamate which is a stump killer and a fertiliser. Sulphate of iron is a fertiliser and a moss killer and it is probably illegal under the pesticide regs to sell it at as moss killer although you can sell it as a fertiliser even for your mossy lawn! I was told recently that no one has ever been prosecuted for doing this or for using a fertiliser as a moss killer or a fertiliser as a stump killer! It's now 'next year' and i am wondering if there is an update on Peter's injection method. Did it work? how much re-growth was there? I am preparing to tackle some knotweed in the next month or so and would love to hear how peter got on and / or if there are any further learnings. Peter has been promising me a picture for a few weeks now and I hope to publish it next but one post. It shows distinctly healthy! herbaceous perennials enjoying completely healthy growth in total absence of knotweed! It is a very clear demonstration what a very precise application of glyphosate at very high concentration will do when injected into the stems of knotweed.- even though the total amount is quite small. Just started building on our new plot and have realised that there is japanese knotweed on the banking of the local rugby club. There is a small river between the banking and my plot which is holding it at bay, so far. Can you please tell me how to treat/kill it. Thanks John. It won't grow across a river as opposed to a small stream where it might if it sometimes dried out. The chance of seed blowing over is zero but in theory broken off pieces might root if they floated across. The press overhypes the dangers from small pieces regenerating. It is surprisingly difficult to get small pieces to establish but where they do it takes several years of neglect for them to become a problem. I am sure you would not let that happen! Our hyperactive government threatens legislation that might be costly for the rugby club and you might have a quiet word with the groundsman about eliminating it. It is easy to eliminate by spraying with glyphosate but it might take a few years if it is well established. The groundsman will have available commercial glyphosate 360g and it can be sprayed at dilution of 1 in 50 on intact foliage. It might be too late now, albeit if still green and if you don't have a heavy frost very soon it is actually excellent to spray it today! Next year let it make strong new growth and spray, perhaps in late June. Repeat spray regeneration after about two months and maybe once more? It might take a year or two if the infestation is very well established. As I say in my article easy in terms of labour input but takes a few years before its gone! Just a couple of further comments! I have been in W.Yorkshire today and seen still green knotweed - they would drink up glyphosate very well! Forgot to add I am from Swansea and they have introduced an insect from Japan which which eats the sap of the plant with good results, so I've heard. Is there any hope of purchasing any of the said insects. I doubt it yet but watch the press. It will take several years for this fly makes an impact and you will be rid of yours soon enough. Hija Roger - After several hours on Google I found your EXCELLENT blog - straightforward honest advice. Most of the other sites seem quite 'scary' and over technical. 'infected' by this wretched plant - The Victorians have a lot to answer for! Earlier in the summer I dug a trench a metre deep and filled over ten bags - hindsight informs me this was not an ideal solution - a nieghbour got a quote £500 x 6 households to 'treat' however some do not have that finance available. http://www.bbc.co.uk/programmes/b04mv9gk - Jeremy Vine Show BBC Radio 2 Thursday 20th November discussed the issue and I was most impressed by the no nonsense advice shared by David Verdicchio of Epuk Ltd. He only had a few minutes but gave down to earth advice on spraying - however maybe due to time contstraint's there was no mention about cutting back the plants - QUESTION: After spray treatment is it advisable to dispose of the remains - if so how long AFTER treatment. My intention is to follow his advice and YOURS on a 'do it yourself' approach which I will share with all the neighbours. 1) Can you recommend some robust spraying gear? 2) Disposal - Burning seems to be a serious contender - I would obviously purchase a decent incinerator - what is your opinion on this option? I will propose a collective purchase of sprayer - incinerator etc ie share the cost. I see you have added your name to the patchwork on the right. Welcome aboard! You have really been dragged in to the hype about knotweed – it’s only a plant! PROTECTIVE GEAR You do not need to pretend to be a spaceman! Think of a little old lady buying a glyphosate ready mix to spray the weeds in her path. SPRAY Although you could invest in a gallon of commercial glyphosate on the net for about fifty pounds that will spray several acres and last you for a lifetime of gardening, why not just get a litre of Roundup GC (Stands for garden centre and indicates a rip off) that will be enough for perhaps 100sq meter of knotweed for the three years it might take you. Before you start, read my post very carefully and the above comments including to John just above and also the August post. Unless in balmy London your tops are still green and alive and you can spray them now (Very unlikely) then DO NOT spray them until they are large at the end of June. Just leave any dead/dying tops until Autumn when you can cut them away. They may regenerate at their tops but much more so at the base. Probably erratically as you sound to have chopped them about. DO NOT zap new shoots as they reappear, let them get big first. You will probably need three sprays a growing season for three years to be completely rid, although by year three they will be just little runts! Best of luck in your new career as a landscaper! Japanese knotweed grows from seed anon but only rarely and it is not a normal source of infection. Many thanks for an excellent and informative article. I love the 'common sense' approach. Looking forward to tackling the knotweed! Can you please give me an easy to understand guide to the glyphosate mix. I'm new to gardening and dont understand the 1 in 50 mix etc. One answer is that it is all explained in my glyphosate posts - listed in the theme column on the right! I expect you don't want to trawl through them! My advice to mix at 1 in 50 assumes you are using commercial glyphosate - it says on the label that it is 360 gm per litre strength and is much stronger than the amateur product. I expect as you are a beginner that you are perhaps using the amateur product Ghalib. The amateur product that garden centres sell is much weaker. This DOES NOT mean that when you make up a solution to spray that it is weaker than that made from the the commercial product. It just means that you need more of the garden centre concentrate to make up your diluted spray - and costs much more! Unfortunately I do not know the strengths of garden centre products - and they vary! The best advice I can give if you are using the amateur product is to make it up to the maximum strength recommended on the label - it will be the strength they suggest for 'difficult 'weeds! Thanks for all the useful advice here and time taken to write/post. I'm very grateful. Letters like yours make it all worthwhile! By spraying with glyphosate you probably eliminated the bees as well. I think the more laborious method of persistently removing it is definitely better. I know no reports of glyphosate toxicity to bees! Of course dead knotweed does not provide much pollen and nectar. Hi there. Could I ask if JKW can travel through a regularly mown lawn? We live near a railway embankment which is teeming with it, but we are separated from it by a meadow which is regularly mown by the council, and they weedkill the boundaries a couple of times a year. Should this be enough? I did have a small clump but I injected it three years ago and that killed it. it would only cross a meadow over many years and you would observe its advance! A botanic garden in Cheshire has a magnificent one confined by a regularly mown lawn on one side and a lake on another! Hi there, I have two small pieces of japanese knotweed on my driveway. I've sprayed it with roundup. How often should it be sprayed each year and when should I see it growing the following year. Thank you. My post on ground elder probably explains more about the strategy against this type of weed. Thanks for the reply Roger, I wasn't sure if I was to spray it every few weeks or months ect. I'll have a read of you post about ground elder just now. IIt sounds as if I made your day Emma! Burning is the best way to dispose of any roots you might have dug out. Although tops are capable of rerooting if you keep an eye on them they can even go on the compost heap! Roger - great article. I note you've wondered about the effectiveness of the injection technique, and might like to know of my own experience. We live near rail property from which a HUGE bush (8 feet tall and wide) overshadowed our garden. After a bit of research I decided on drastic action - cut through the stems about 2 feet up (they were 2cms in diameter) and literally poured glyphosate down the tube. That was a single treatment 3 years ago. I've never sprayed it, but there's been no sign of life from that bush since. Great to have your thumbs up Anon! This is such a great page! I am a structural engineer and am well aware of the scare stories about structural damage and the large bills for getting specialists in to eradicate it. We have even had some of these specialists in to do 'CPD' sessions. There are also a lot of scare stories about property values plummeting or sales falling through because of it. It is good to see someone giving advice in a calm and sensible manner. I moved house a year ago and in the summer I noticed that the garden backing onto mine has knotweed growing in it (I sent a photo to 'ID my weed' via the PBA website and they confirmed it). 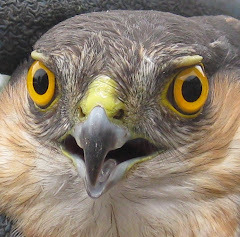 I went around to their house to tell them about it (invasive weed/structural damage etc) and they just thought I was mad and told me to go away! It was not very tall (1ft) but it had spread wide. The leaves have died back now but I am sure it will spring back in the summer and I am just anxious to see how large it will be. As a new homeowner I am worried about my rather large investment going to pot! It is going to be difficult to have more conversations with them and get them to deal with it so I am wondering if I can at least keep it at bay by sticking a sprayer over the fence to get at the perimeter of the growth and at least stop it spreading my way! Do you think this is at all feasible? I just don’t want the rhizomes spreading under the fence line. Would it be illegal for me to spray nasty chemicals onto someone else’s property? Thanks for the challenging question Louise! It is definitely a problem when noxious perennial weed keeps returning from a neighbour. Personally I have never resisted spraying right up to the border of a clients property (or my own). Most none gardeners either don't notice or are even grateful for any translocation-killed weed on their edge. Of course I am on dodgy ground if the neighbour wants to cause trouble or has prejudices against chemicals. It might be desirable to go for a quick kill of your own knotweed. Peter Williams injection technique killed his daughter’s weed in one go. It never returned. A blog correspondent recently reported using nearly neat glyphosate sprayed on the cut back hollow stems of his knotweed with a claimed complete success. He let the fluid drain down into the stems. Killing this way avoids unsightly dying back and might advertise your activities less! Your article is great - it is so hard to find a rational, unbiased opinion on JKW - so thank you for writing one. We are in the process of buying a property, and there is a fairly extensive JKW problem - 4 large patches in different areas of the land, probably totalling about 0.5 acres total area (they are not too close to the house - 2 patches are near to each other in the middle of a paddock, and the other patch is running along a dry ditch, with the closest shoots being within maybe 15m of the house). We really love the property, and would still like to go ahead (we are probably crazy). We are keen to start treating ASAP however - so would it be wrong to treat the more mature shoots fairly soon (some are already a metre tall), and then if we were to treat 3-4 times, what other times would you recommend treating - we are happy to be in it for the long haul! Any advice would be hugely appreciated. For half an acre invest in a decent knapsack sprayer such as the Berthoud I have recommended elsewhere. Also get five litres of professional glyphosate.An amateur friend recently bought a gallon of Gallup 360 on the net for about 40 pounds. I am getting bolder in my strengths and suggest dilution of 1 in 40 for JKW.o a day when it is not going rain. I would wait another ten days before spraying your metre high weed. Let it expend a bit more energy in its rapid growth at this time of the year. It should not be necessary to spray the yellow dying shrivelled weed again, Just the new growth which will surely come in the form of new shoots or extended tops. You will know when it is about a foot high.Expect to spray two three times this season. Growth next year will be much dwarfer but will keep coming back. Spray at about a foot. Thank you so much Roger, really appreciate the advice - have a great Easter! Please don't be fooled by this sneaky weed. I had about a quarter acre of the ten feet high variety which I am still treating ten years later, but I also had a small patch on the bank of a stream which after two years had gone - or so I thought. Two years ago it came back, after an absence of SIX years! I hope I live long enough to actually see it off. Thanks for the warnings Tony. I cannot believe it disappeared for more than a year.and came back. But as you say it's sneaky and low level infection might go unnoticed and build up again. Although Worsbrough cemetery took me nearly ten years there has been no sign of it for five years now. Dear Roger, Many thanks for this page and all the information I was able to view. I found KKW in my back garden and there isnt a big patch but around 19 individual stems. Both of my neighbours either side have JKW in their gardens though. I treated it last year with weedkiller and it dies but it came back this year in new places. I was not aware that it spread itself and thought that it only spread if disturbed. I have treated it again last week with a good spray and a week later, most of the leaves and stems are folding over. I understand from the information above that you should only spray it 3/4 in the season, so my next spray should be in June. What happens if I spray it more that what was suggested? I am hoping that by next season it will start to die. My neighbours have been chopping theirs down not knowing it spreads more. I have made them aware, hopefully they can start treatment too. Go by the new growth rather than the calendar - let it get say six inches before you spray. Thanks for that. Good luck and keep up the good work. Great thread with lots of really useful information. I have been tackling knotweed for nearly 11 years and I am Managing Director of a knotweed removal company. I know this has been touched on previously, but this is by far the best time of year to treat knotweed. As the plant is gearing up to die back for the winter into Perennation. Make sure you spray the top and bottom of the leaves, due to the waxy coating of the top side of the leaf and I use 20ml per litre of water of super strength Glyphosate. Do not put a higher dosage of Glyphosate in to the water, as all you will do is 'burn' the green material of the plant and not allow the herbicide to translocate down the stand into the rhizome. Hope this is of some help to you all? Great to have comments from a pro although no doubt if I click on you I will find your company! I have a new post on JKW coming out tomorrow! I find that if you treat knotweed between June and August you do get good results, however at that time of year all of the plants energy is pumping upwards and the glyphosate finds it a lot more difficult to translocate to the tips of the rhizome, especially on larger infestations. And you will not find my company on this post, nor on any further comments I may leave on here. On a side note, if anyone reading this article wants free advice, they should simply contact their local knotweed company, as any company worth their salt should give out free information without any sales gimmick. Good advice should always be free. Wow, great advice, I have about 1/2 an acre I have been dealing with throughout the year (2017) I have sprayed and injected many times over this seasons growth, to the extent I have now collected all the dead stalks and bough a garden shredder to mulch it down, at present I have 10 extra large plastic bags full, where I am now investigating where I can legally dispose of it (Belfast), I will attempt the remainder of the live weed during next years growing season. Would attach pics but not know how to. If you have half an acre surely you have room to compost the tops! if they are yellow after spraying just heap them up. If green, a wheel has come off and your glyphosate has not been strong enough or you have not waited for the plants to grow enough before spraying.If green make sure you let them dry and desiccate on the surface before composting. If necessary if it is wet turn the green tops - don't let them root - but they are not monsters! Don't waste your money on waste disposal! As to pictures - if you can get your photos on your desktop you just drag and drop them over the body of your email to nodiggardener@ gmail.com. Unless you know how to reduce them don't try more than two on a single email! The glyphosate I’m using Is Gallup XL and Gallup Hi-Aktiv, they are 480 so stronger that the 360, I have had no issues killing it down, in fact now that I have ground the dead stalks down it resembles tree bark chipping that are used in kids play parks etc. Well done with the pictures Ronnie. It should make a great mulch - er I mean the shredded tops not the pictures! Roger, if I were to leave the dead stalks in situ, apart from looking ugly on the landscape, I take it they will break down and decay over the winter, therefor no need to grind down ? They will shrivel and go brown but there will be little decay as it is too cold in Winter. Also being fibrous they will be slow to decay next year unless mixed with softer organic material. The most helpful thread online!! Today I found the ‘dreaded’ knotweed at my newly purchased first home. We have a few areas of the weed in a border which have grown to about 8 feet in the space of 3 weeks. I’ve sprayed them today but should I cut them down lower at all? When we bought be house the garden was totally overgrown and there was lots of white, hollow sticks which I know think where dead weeds from last year which have been raked and burnt. Nothing has sprouted so far in the main garden but Would spraying the garden be pointless as it wouldn’t get into the roots of should I give it a go? Thanks in advance! Eight foot in three weeks wow that means it's strongly established - but all the better to have foliage to kill it. Thats the point Alasdair, roundup does not work through the soil - putting on bare soil is like burning pound notes !Obviously if weeds from seeds are appearing that's a different story. I don't see why the knotweed you have sprayed should now after a few days be raised to the ground for tidiness. But DO NOT DIG OUT! Such a helpful thread! We are in a similar situation to Alasdair’s. I’m now thinking we may have missed dried up ‘hollow sticks’ when we cleared our overgrown patch. We now have a number of small shoots poking out of newly laid turf - recently next door but one discovered a clump of knotweed which they are having treated professionally at great expense. As the shoots in our garden are only small (but possibly relatives of more established jk) - can they be mowed with the grass or should we let them strengthen to get best results from spraying. Or is it acceptable to inject these small new shoots? Best way forward? Many thanks! If yours has the vigour of Alastdair's no chance for your lawn Anon! It does need to grow for several weeks before you can spray it. This is one the most helpful websites on the subject that I have found so far so thanks to all. 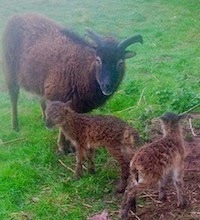 I have just moved into a new smallholding and have a LOT of JK over the place. Using the techniques discussed here I have managed to clear a large amount but still have lots left. The cut and inject method has been very successful on the larger plants which has also then created physical access into the forests of the stuff to enable spraying of the smaller stems . Some of the areas were 30 yards across so I took the approach of subdiving them by cut and injection and then spraying from the newly formed access. Most of the cut and inject have not regrown this year but a few plants have regenerated as the "bonsai" version which were then dealt with by spraying . Cut and inject is labour intensive ( probably spent 18+ man hours since may ) but seems to work so it's worth the effort. I have been using an 8" hunting knife to cut APPROX 8-12" above ground, a long pozi screwdriver to pierce any knodes below the cut and a small 5l sprayer from the garden centre set to give a stream rather than must spray to fill the stems . The sprayer was originally filled with ready diluted Roundup but I used that on the driveway weeds and then used GallupXL at 30:1 for the JK. You can get Gallup from EBay for around £60 for 10L which is a bargain compared to buying Roundup from the garden centre. All the dead canes are being cleared and burnt now which makes monitoring any new growth easier and should make monitoring and dealing with anybnew growth next year a whole lot easier. The stuff I haven't gotten to yet is now in flower so I am going for one last spray of everything I can possibly get to before the first first. Hopefully this will be effective but time will tell. I was on another cut an inject mission on the flowering plants but stumbling on wasp nests in the ground whilst on your knees twice in two days put me off that for now (14 stings was not funny). I will update on on regrowth as and when. Thank you for your interesting experience and I shall look forward to your further reports. Hi Roger. Firstly Many thanks for your excellent blog. Last November I discovered two small JK plants growing under some conifer trees on the boarder of my garden. Closer inspection of the adjacent land revealed a 20m area containing approx 30 plants. All were fairly small (two feet) I photographed the plant and it was confirmed as JK by a company who wanted nearly 4k to come and treat it. They stated they could do an area 7m into my neighbours land but no more and he would need to pay them again to finish the rest. I had only recently purchased the house so this was a real blow and everyone I talked too, or everything I read was doom and gloom. Then i found your blog and was relieved to read a common sense article from someone who knew what they were talking about. I decided to go it alone following your advice. I found glyphosphate easy to acquire on ebay. I began spraying last November just before the frosts. This April there were only 8 plants left. I sprayed them again and they all died back. Last month I saw 7 new shoots coming out of the ground and decided to leave them until Oct to spray again. Unfortunately we have badgers and I noticed they have been digging around the JK and removed all the leaves. Im concerned they will spread it. Im tempted to go out and cut the stems and pour a heavy mix into whats left and would welcome any advice on that. I spoke to my neighbour about the situation and was told he had a larger outbreak five yrs ago and he used a mini JCB to dig it all out. He says he went down deep and it has reappeared after five years of nothing! I have asked him not to touch it but leave me to work on it with the glyphosphate. I use the 1/50 mix you recommend. Finally it was really reassuring reading your comments and looking at the various posts from other people. It makes you feel that you’re not alone and that is a big help. THANK YOU George. Thank you for your big thank you George. I am tending to recommend 1 in 40 mix these days. The more i use glyphosate the more confident i am that stronger the better and that it does not become less efficient - within reason of course. Thank you Roger. Ill try that next time. You have saved me a lot of money - most greatful. George.